We are very pleased to announce that our enterprise; JUMPCUT, has been funded for a second year! To kick off the 2014 programme, a bunch of fresh faces will embark on Summer Production Company (SPC) 2014, this is a 10 week intensive practical programme where 20 young people aged 16-25 will form a production company and make a professional short film with a budget. The JUMPCUT SPC 2014 are; Alan Muszynski, Anna Fraga McLucas, Blyth Bekah, Kevin Main, Jasmine Chiswell, Emily Penn, Lewis Wardrop, Mandy Shannon, Nasreen Saraei, Stacy McEvoy, Keir O'Donnell, Michael Kelly, Rian Gordon, Jonathon McLoone, Jennifer McKillop, Katie Scott, David McMahon, Christopher Sneddon, Jamie Meikle, Ross Kelly, Polly Malloch and Mark Fraser. A year-round Stories For Screen workshop and Writer’s Call Out led to the assembly of a shortlist of scripts, the shortlist has now been honed down to two finalists; James Price and Helen Sim. Next week the young writers will develop the scripts to final draft stage, the scripts will then be pitched by Summer Production Comapny to the JUMPCUT board for a final version to be made in to the short film. The company will simulate all aspects of pre-production, production and post-production under the guidance of industry professional mentors. Participants will be involved in production roles that they have never been involved in before and given intense mentoring whilst simulating a professional company. They will learn production management skills such as; scheduling, budgeting, call sheets, logistics and will be familiarised with terminology and use of production conventions. One SPC 2013 participant described the project as ‘a buffer’, where participants are able to make mistakes in a demanding but secure environment. 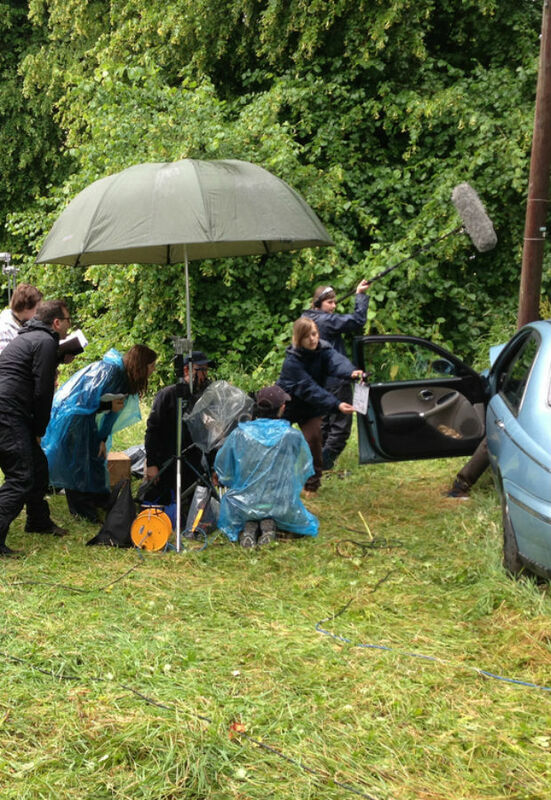 Being based at Film City Glasgow allows close collaboration with industry professionals, access to industry-standard facilities with high-quality equipment made available and mentor tuition, offering participants valuable technical support and giving them experience in using hardware and software that would be expensive for them to access independently. Our evaluation survey data from Summer Production Company 2013 *(carried out by University of West Of Scotland), found that within 6 months of the 2013 programme over 71%of participants successfully gained employment in the creative & cultural industries, with 57.1% attributing their employment to be directly related to their involvement with JUMPCUT Summer Production Company. The remainder gained employment in the industry later or went on to further industry related studies. The JUMPCUT SPC 2013 were; Calum Firth, Calum Upton, Christopher Osborne, Daniel Hill, Elizabeth Randon, Emily Morrison, Gavin Hopkins, Hannah Topalain, James Price, Mark Johnstone, Omiros Vazos, Peter J, Stewart, Rachel Smith, Ryan Pasi, Scot Morrison, Thomas Clark, William Lancashire, Zoe Smart, Katelynn Collins, Richard Thomson, Terri Lea Raeburn. JUMPCUT Summer Production Company 2014 is funded by Young Start and Channel 4. Please see our JUMPCUT page for more information about the year round programme.